What knot is this that starts off like a taut line hitch but ends differently? I thought that Les Stroud was about to make a taut line hitch. But at the end he did a couple of things a little different. What is this knot? Does it hold better than a taut line hitch? It is intended to be able to absorb sudden loads, which is useful for climbing, especially in stranded, synthetic type ropes. It seems related to the knot that I use to tighten a tarp ridgeline that is often referred to as a 'prusik'. I can't remember how I first came across the method but it's very useful for maintaining tension. Not the answer you're looking for? Browse other questions tagged survival knots knot-identification or ask your own question. 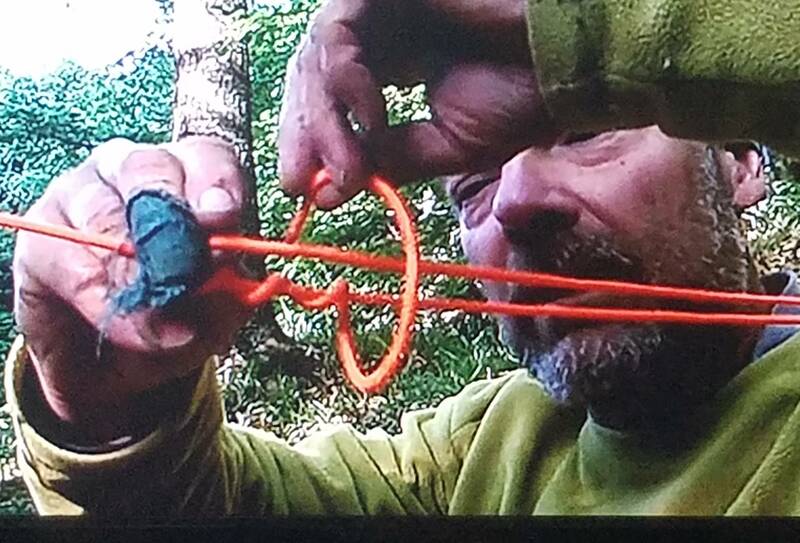 Is it normal for an Evenk/Siberian hitch knot to become loose? 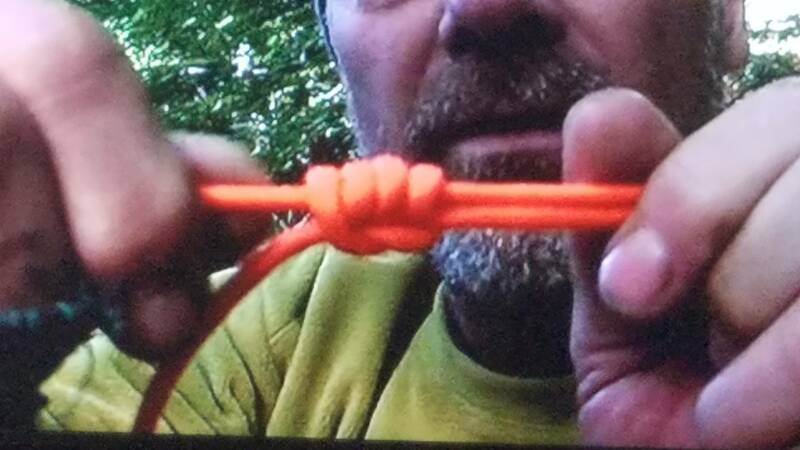 Which mid-line knot is best suited for a trucker's hitch? This isn't a double overhand loop — what is it? Is a barrel knot the same as a double/triple overhand knot? What is this knot that is used on ice axe leashes? Undoing an over tight Clove Hitch? Why does my flurocarbon leader keep breaking when tied with a double uni-knot?